In 1066, the year of the Norman Conquest, the lands around Prudhoe were already established as estates and small villages. William II took the lands and bestowed them upon his most faithful supporters. These ‘new’ barons guaranteed to supply the king with either fully armed knights or equivalent funds. The first barons of Prudhoe came from the Umfraville family. 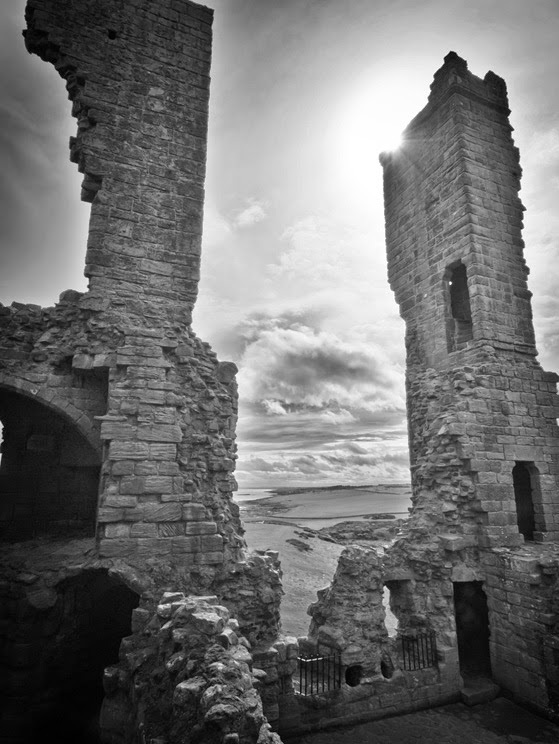 Robert d’Umfraville was one of the nine barons of Northumberland, who in 1095, were granted permission to build a castle. 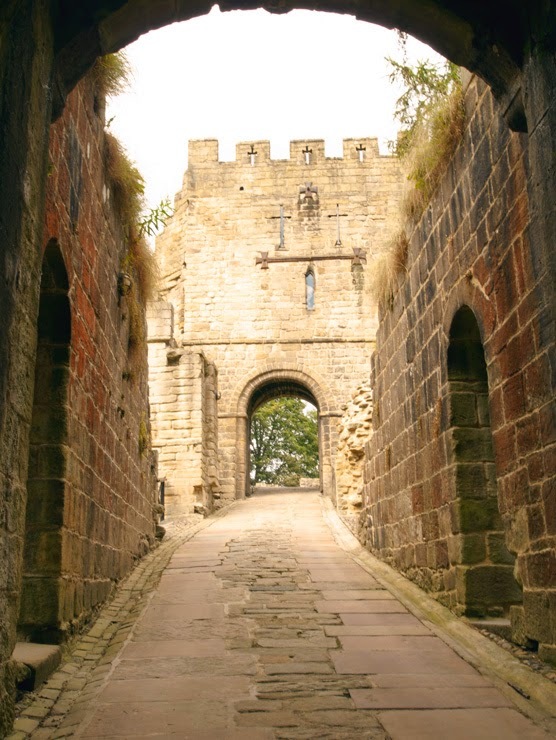 Prudhoe castle became part of a chain of strongholds controlling a main river crossing. Odinel’s son Gilbert married Matilda, the heir to the Scottish earldom of Angus, and they kept the titles until 1350. In 1294, Gilbert d’Umfraville, the seventh earl of Angus, asserted his rights to administer punishment in Prudhoe through the gallows, the tumbrel (cart carrying prisoners) and the pillory. In 1296 Edward I broke the peace by leading an army in to Scotland and started 300 years of war between the two countries. 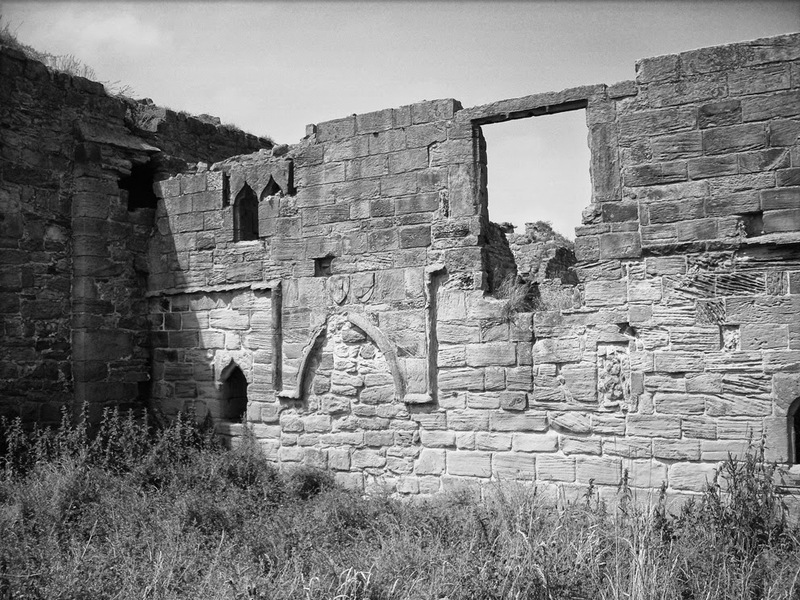 In 1316, Scottish prisoners of war were held at Prudhoe whilst waiting for their families to pay ransom. 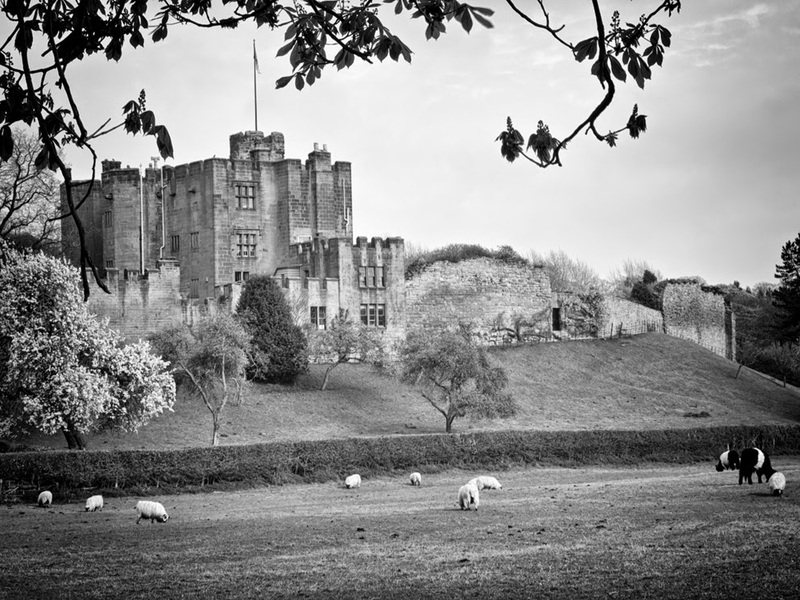 During the 14th Century the Percy family began to acquire lands and power. Henry Percy was created the first earl of Northumberland by Richard II. He struck a deal with Gilbert Umfraville III, ninth earl of Angus, for the purchase of the Umfraville lands when Gilbert died. Henry gained the barony of Prudhoe and married Gilberts widow, Matilda Lucy, who was an heiress of considerable wealth. The earl and his son, Harry Hotspur, rebelled against Henry IV in 1403. Harry Hotspur was killed in battle but Northumberland rebelled for a second time. The king decided to give the barony to his brother John, Duke of Lancaster. 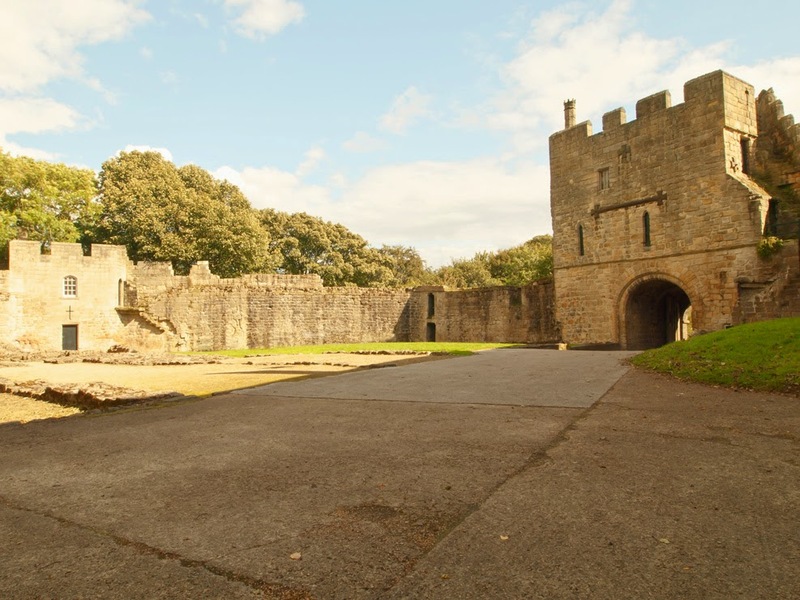 In 1603, James IV of Scotland inherited the English throne and Prudhoe Castle lost its defensive role. Eventually the administration of Prudhoe transferred to Alnwick castle, back to the Percy’s. Hugh Percy, second Duke of Northumberland, gave the castle a new lease of life through a programme of restoration in the early 19th Century. 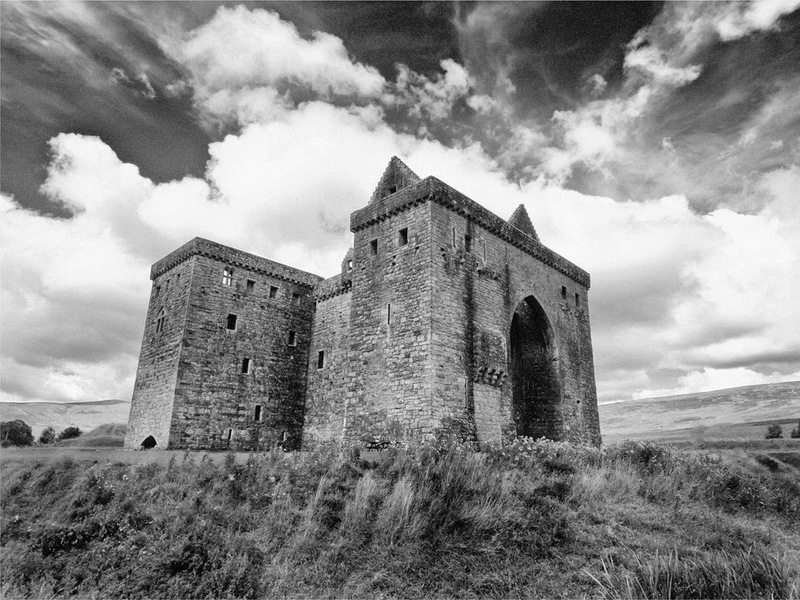 Hermitage castle stands as a monument to the bloody and violent history of the Border Reviers, the wars between England and Scotland, the occult and a romantic tryst between a Queen and her lover. Steeped in myth and legend, Hermitage still looks chilling, frightening and sinister with more ghosts than you can imagine. 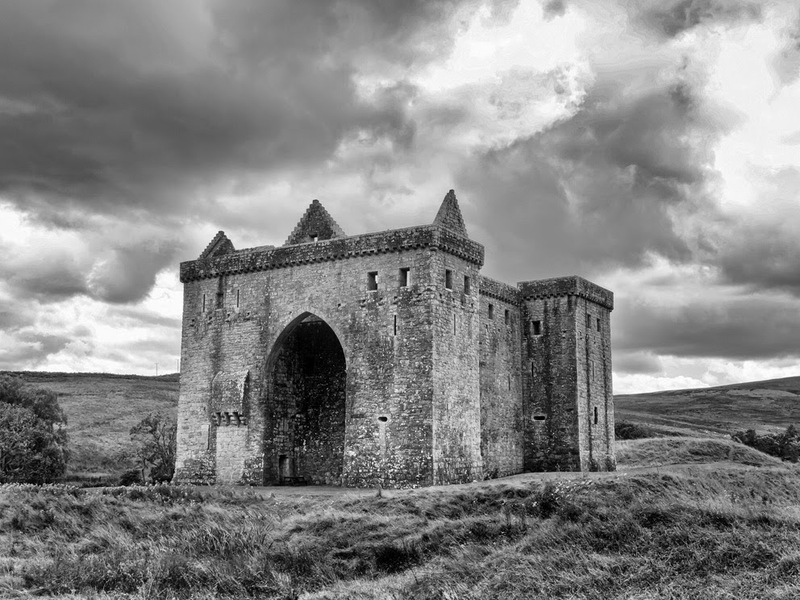 It stands as a gatehouse to the bloodiest of valleys and if walls could talk you would never believe the stories. The Soules crossed the English Channel with William the Conqueror. Ranulf de Soules, the first to come to Scotland, held the position of butler at the Court of David I. The first castle occupied by Ranulf was at Liddel Water, four miles from the Hermitage. It was here that his servants murdered the second Lord Ranulf. It was believed he was involved in the occult and black magic and folklore tells of him being boiled in molten lead. It was after the above episode the family moved to the Hermitage. 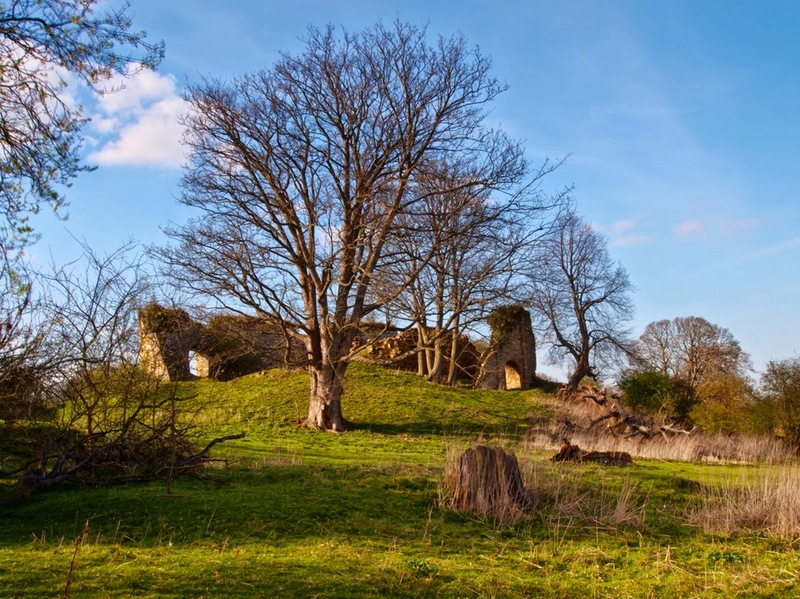 The original castle built by Lord Nicholas De Soules around 1240 has disappeared, due to being of a timber structure, although the original earthworks still remain and are probably the foundations for the current castle. 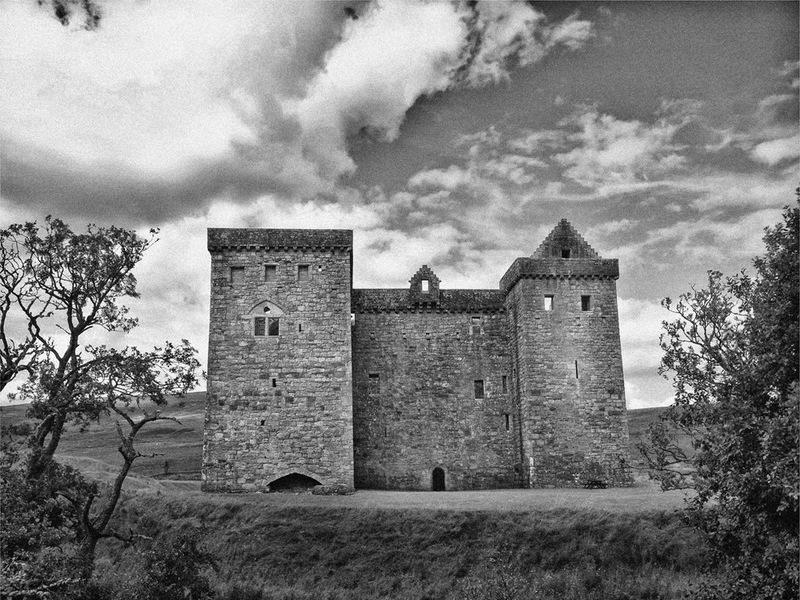 The construction of the castle nearly brought England and Scotland to war due to its strategic position controlling Liddlesdale. Dungeon - hole with no light, air, sanitation or water and no way out!! In 1296, Hermitage fell into English hands during the war of Independence. 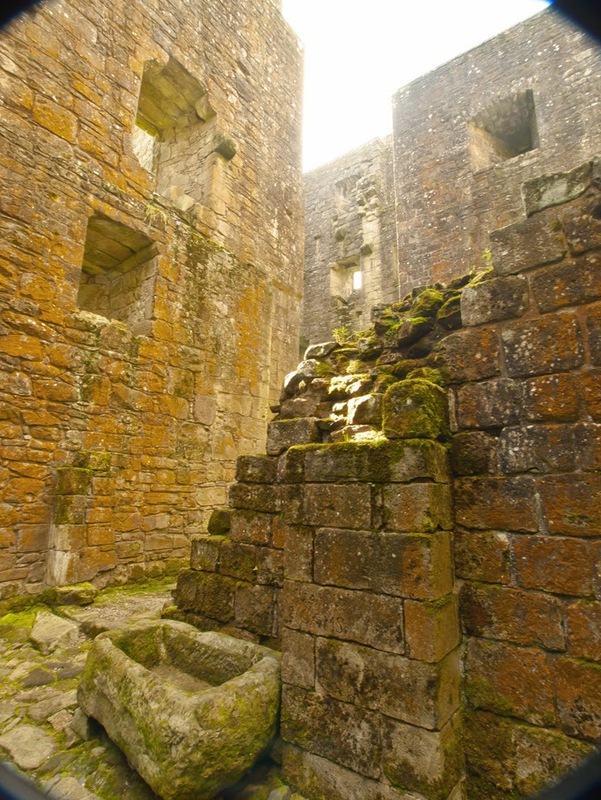 Sir Nicholas still held claim to the castle when Lord John Balliol was enthroned as King John I in 1292. In 1320, Nichols’s son, William, was accused of conspiring to kill the King Robert the Bruce. As a result, he lost his lands, title and was imprisoned for life. King Robert the Bruce granted Hermitage to his illegitimate son Sir Robert Bruce. The peace treaty of 1328 stipulated that property belonging to English lords in Scotland should be returned to them. The Scots refused and it was only in 1332 that it was given to Sir Ralph de Neville. However, this was short-lived and in 1338, Sir William Douglas seized Hermitage. Sir William was grieved that he had been overlooked for the role of sheriff of Teviotdale. In 1342, he imprisoned the new sheriff and starved him to death. After this, the king appointed Sir William to the post. Sir William was taken prisoner at the Battle of Neville’s Cross in 1346. Sir William traded with his captors but King David II countered this pact by giving Hermitage to Sir Williams’s godson, another William. Sir William and his godson faced each other in Ettrick Forrest in 1353 resulting in the death of Sir William. However, young William could not claim Hermitage as Sir William's widow married Sir Hugh de Dacre, a Cumbrian Lord. Sir Hugh resisted giving William, now the 1st Earl of Douglas, Hermitage until 1371. Earl William began transforming Sir Hugh’s manor house into a great rectangular tower house. He died in 1384 and his son, James, the 2nd Earl was killed at the battle of Otterburn. The Hermitage passed to George Douglas, 1st Earl of Angus. In 1463, Archibald became the 5th Earl and sided with the English. In 1491, he reached a deal to ensure the Hermitage would remain in English hands. 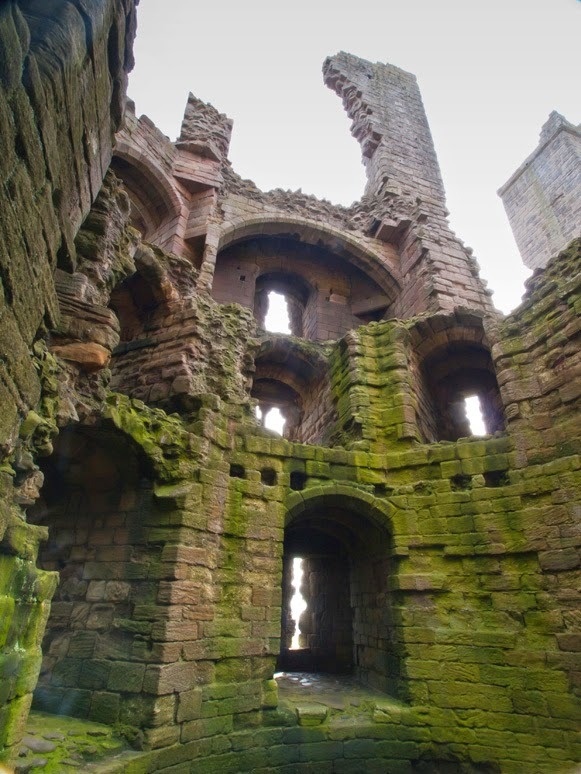 However, the king, aware of the strategic importance of Hermitage, ordered him to exchange the castle for Bothwell Castle, held by the Hepburn’s. The new owner was Patrick Hepburn, 1st Earl of Bothwell. The later Earls of Bothwell proved fickle which resulted in periods of imprisonment and exile and Hermitage remaining under Crown control. James Hepburn, 4th Earl of Bothwell, was implicated in the murder of Henry, Lord Darnley, the second husband of Mary Queen of Scots. In 1566, he was wounded in a skirmish with a notorious Revier, Little John Elliot of the Park, and taken back to Hermitage to recover. Mary Queen of Scot’s heard of his plight and travelled from Jedburgh (25 miles) over open terrain to see him. There were many rumours of them being romantically linked. She remained with him for two hours then was forced to return to Jedburgh. On the way back her horse fell into a bog and she contracted a fever from which she only just recovered. Bothwell was succeeded by his nephew Francis Stewart, a violent and unstable character. In 1594, he was forced into exile and Hermitage was sold to Sir Walter Scott of Branxholm and Buccleuch. 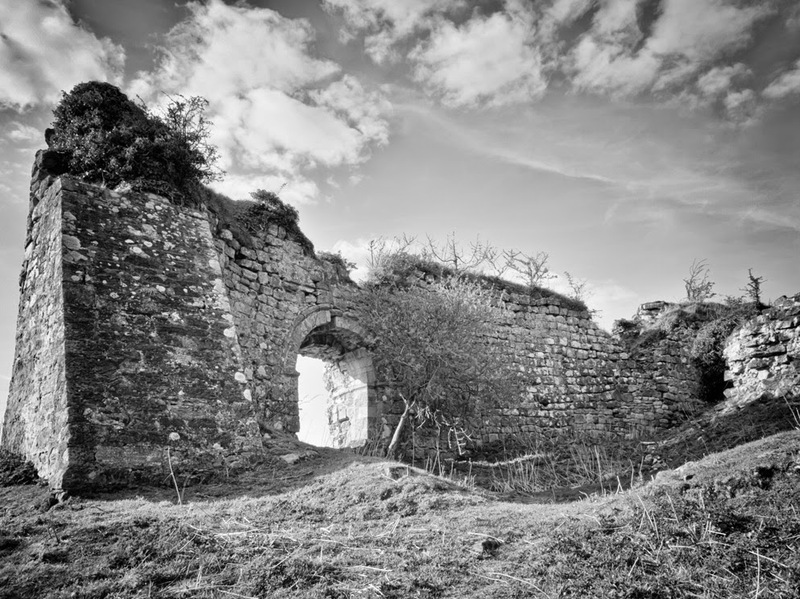 When James IV became James I of England the border wars became silent and Hermitage fell into decay. Hermitage was eventually rescued by Sir Walter Scott, a descendant of the other Sir Walter and the 5th Duke of Buccleuch, who carried out expansive reconstruction. Near to the castle there are the remains of a chapel. There is a myth of an English baron called Cout of Keilder who terrorised the owner of Hermitage. He died in a deep pool in Hermitage water. Next to the chapel there is the, supposed, grave of Cout of Keilder. In 1930, the state took over the upkeep of castle and chapel but the myths and stories remain. 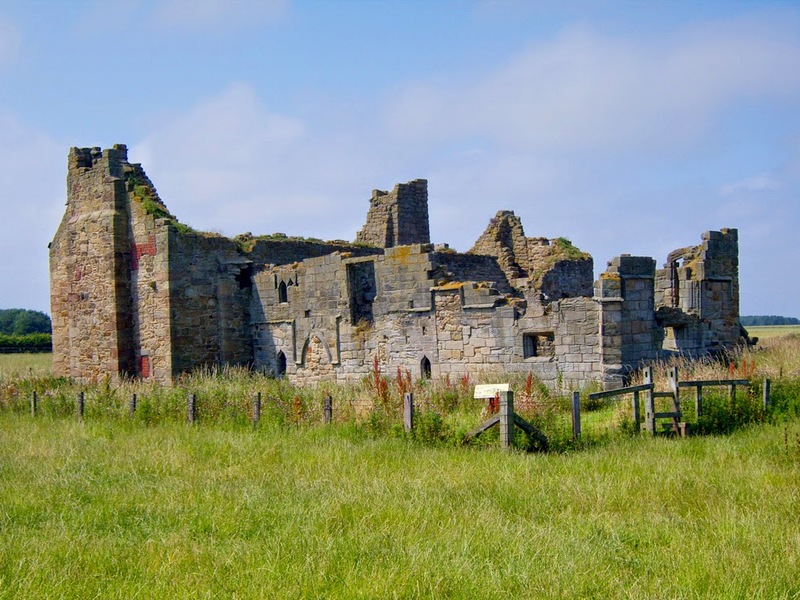 The castle was originally founded in 1121 by The Prince Bishop, Ranulf Flambard, in order to protect the property of the bishopric in north Northumberland, from the Scots. In 1136, it was captured by the Scots, then handed back, only to be recaptured in 1138 during another invasion. 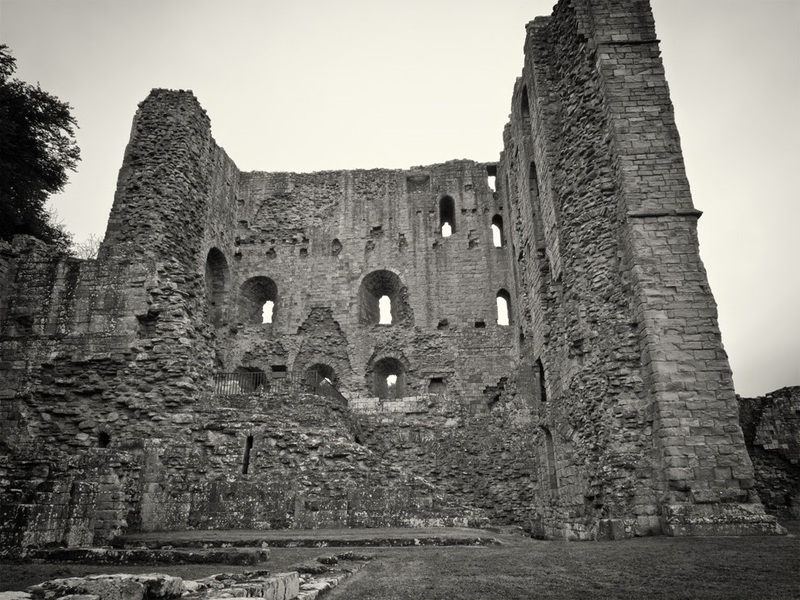 It soon became derelict until Hugh De Puiset, Bishop of Durham, rebuilt it between 1157 and 1170. In 1174, Hugh de Puiset supported the rebels in a revolt against Henry II, during which the Scottish king, William the Lion invaded Northumberland. 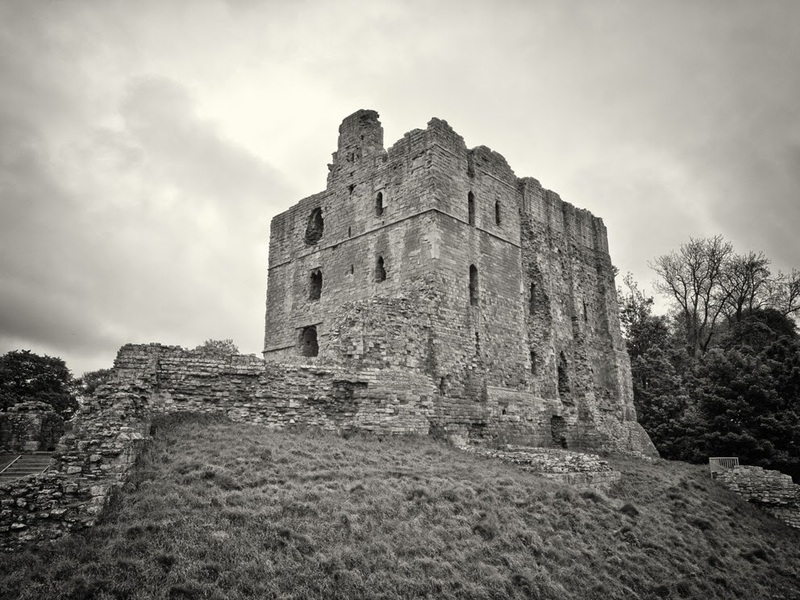 The rebels were defeated and as a result, Bishop Hugh was forced to relinquish Norham Castle to the crown. In 1209, the castle accommodated both King John and William the Lion, on an occasion when William did homage for his English lands to the English king. In 1215, Alexander II of Scotland besieged the castle for forty days without success. 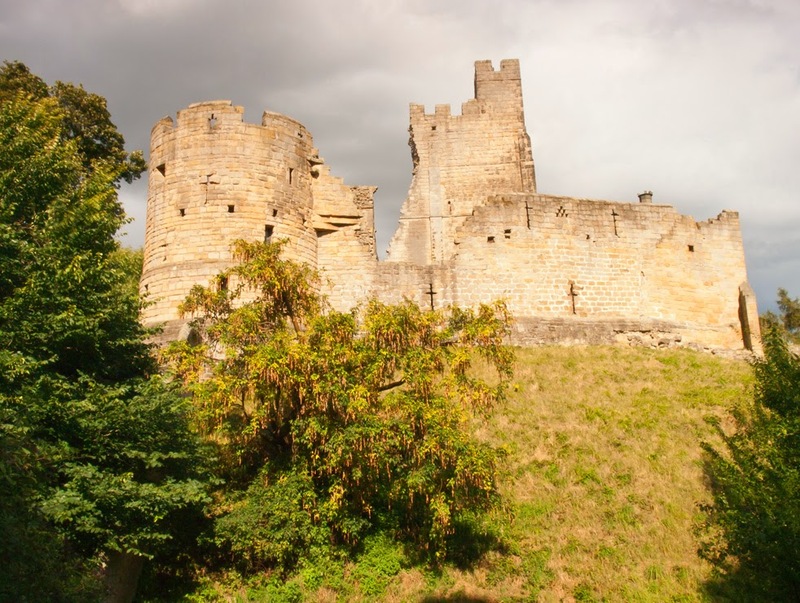 In 1217, the castle was once again restored to the bishopric of Durham. 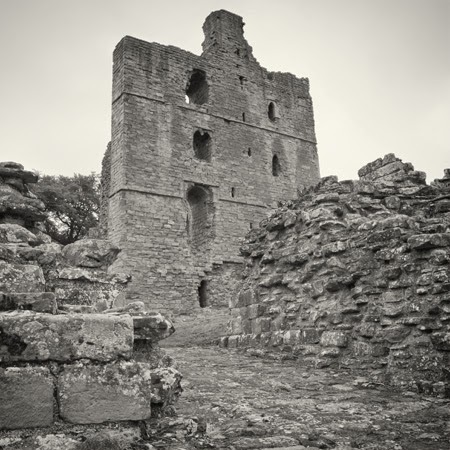 In 1296 Edward I, “The Hammer of the Scots” invaded Scotland, and during his campaign, his queen, Marguerite of France, remained at Norham Castle. In 1318, Robert the Bruce besieged the castle for nearly a year. The Scottish army succeeded in occupying the outer ward for three days but were then driven out. The siege did not succeed. 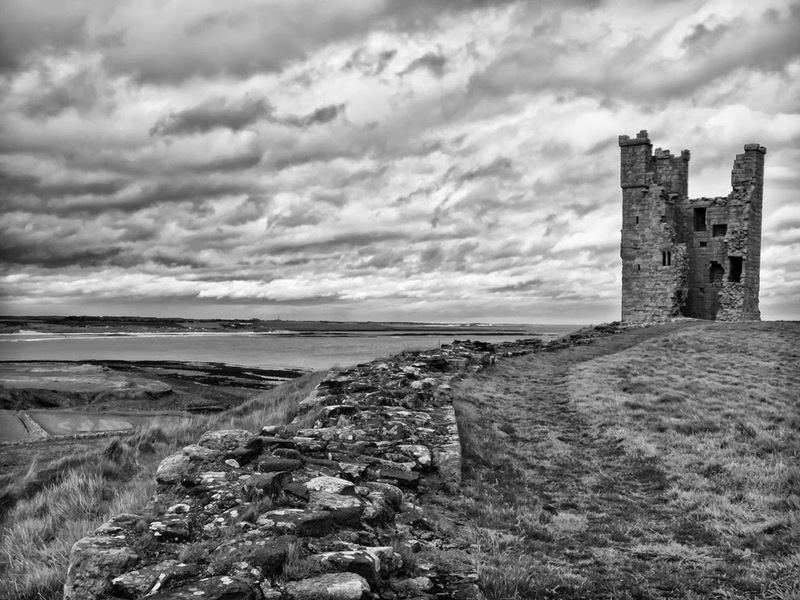 In 1319, the Scots returned and the castle withstood a siege of seven months. In 1322, there was yet another unsuccessful Scottish siege. During all three sieges, the castle was under the command of Sir Thomas Grey of Heton, a knight who had been captured by the Scots at the Battle of Bannockburn in 1314. 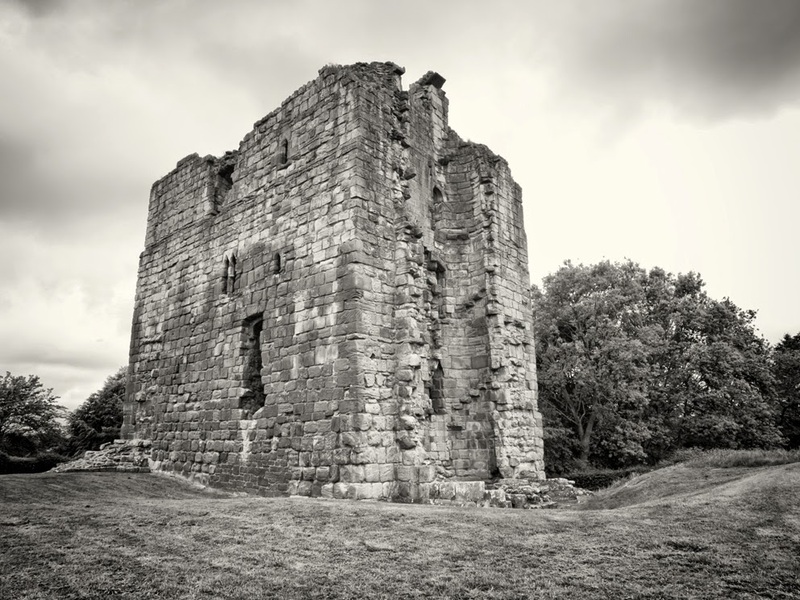 In 1327, a Scottish army captured Norham, but the castle was soon restored to the Bishop of Durham, when peace was declared. 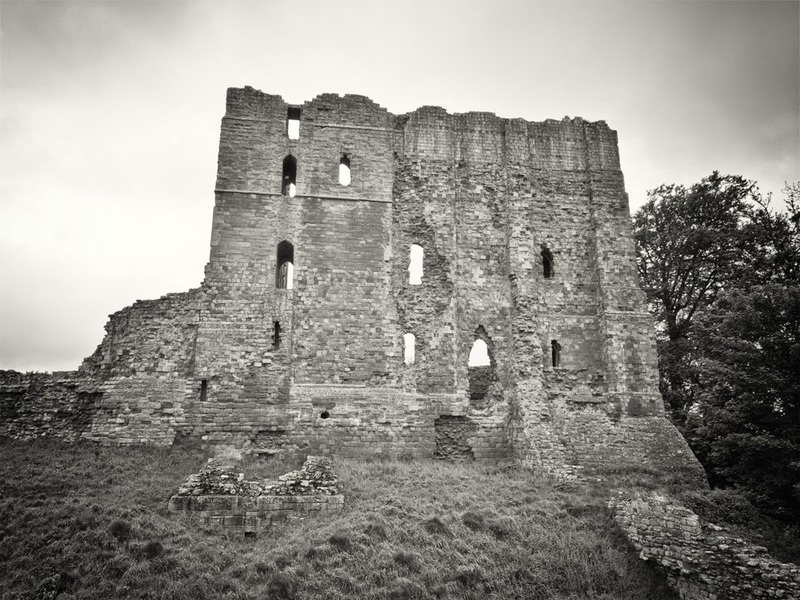 In 1462, the Yorkists on behalf of Edward IV held Norham Castle during the War of the Roses. 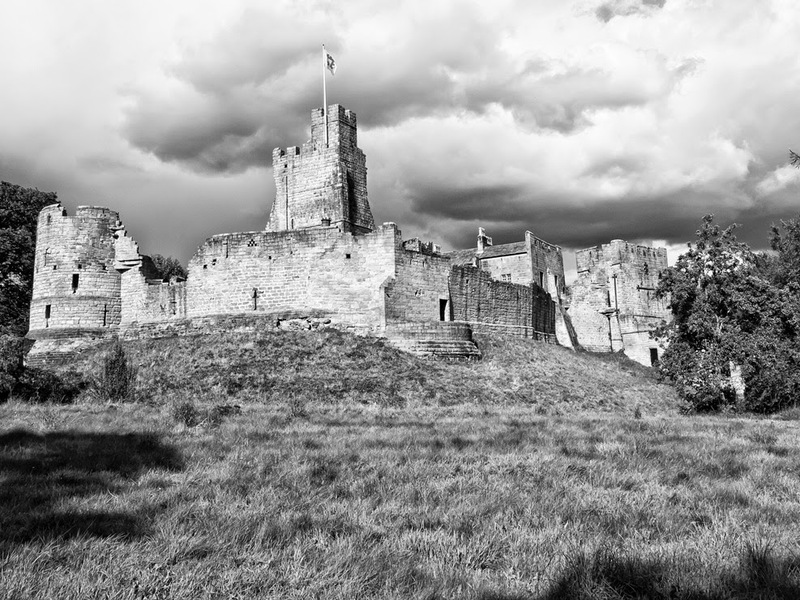 However, the following year a Lancastrian army besieged the castle for eighteen days until Yorkist forces relieved it. 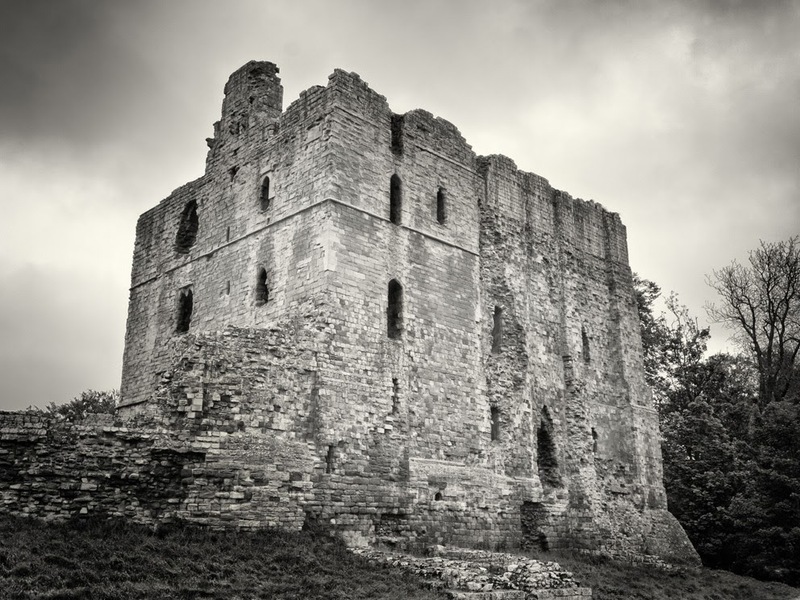 In 1464, the forces holding Norham castle changed sides to support the Lancastrians but were then forced to surrender to a force of Yorkists. In 1497, the castle was besieged for two weeks by an army led by James IV of Scotland. The siege included the use of artillery to try to breach the walls but an English army finally relieved the garrison. Following this latest siege, the castle was repaired again. One of the guns used in the siege was a 22-inch (56 cm) caliber cannon called Mons Meg. 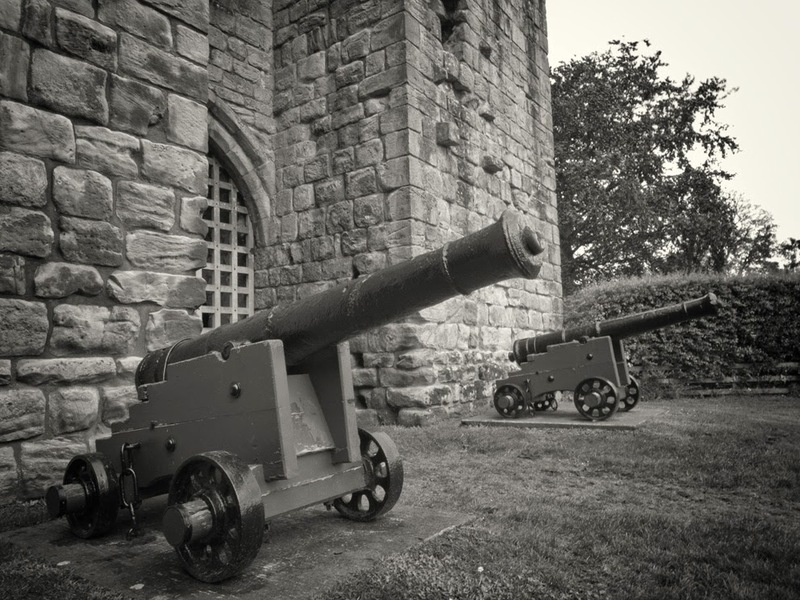 However, in 1513 James IV of Scotland again invaded England with a powerful army that included artillery. He crossed the border and moved on Norham. Weeks later, James was defeated and slain at the Battle of Flodden Field and Norham fell into English hands again. William Dacre, 3rd Baron Dacre (c. 1493-1563), was Captain of Norham Castle in 1522-23. During another invasion scare from Albany, in September 1523 the Earl of Surrey gave orders for new earthwork defences of platforms and rampires. The steward of the Earl of Northumberland, Roger Lascelles met with the Earl of Angus and William Douglas Abbot of Holyrood across the Tweed on 5 September 1528. 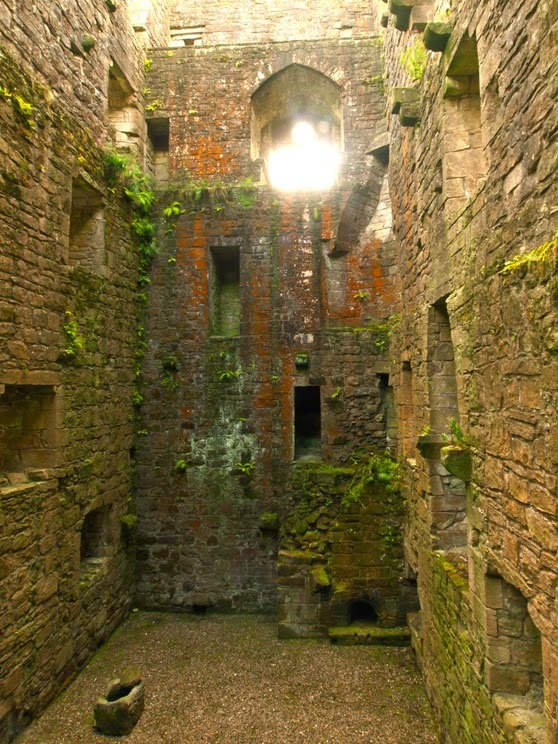 Angus was threatened by his stepson James V of Scotland, and he asked Lascelles for chambers in the castle to be provided for his daughter Margaret Douglas, and the young Earl of Huntley. 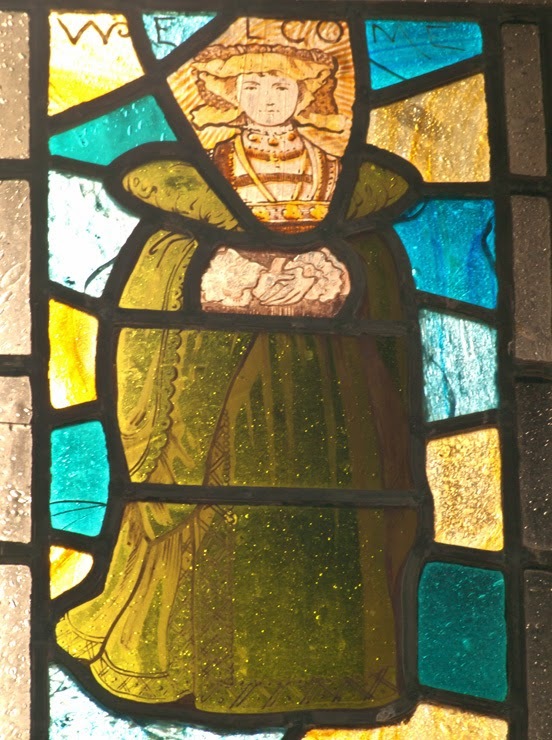 Margaret Douglas, the grandmother of James I of England was received at Norham in October. However when an extended state of peace existed between the two countries, the garrison was reduced and the defences were allowed to deteriorate. By the end of the century, the castle had already fallen into a state of disrepair. In 1596, Queen Elizabeth gave the Captain, Sir Robert Carey, her 'resolute answer' that she would spend nothing on Norham. It was destined not to see any further fighting, but the castle and manor was given to George Home, 1st Earl of Dunbar by James VI of Scotland on his accession to the throne of England. The castle was left to fall into ruin. When the Normans invaded England in 1066, they established their rule over southern England then advanced north. It was not until the end of the century that the border with Scotland was firmly established. In 1100 Henry I began the colonisation of Northumberland by securing a series of baronies between the Tweed and the Tyne. These baronies were given to Normans of proven loyalty in return for military service. 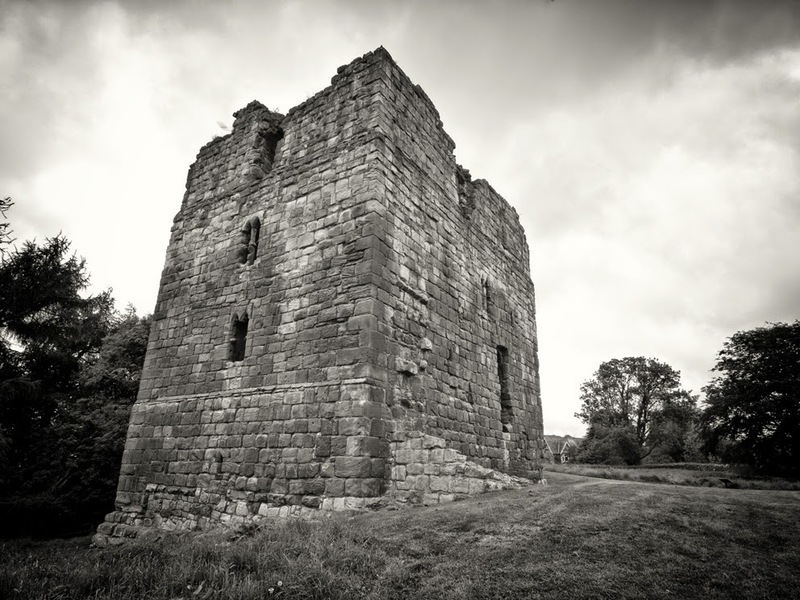 The castles of Morpeth, Alnwick, Bolam, Mitford, Prudhoe, Wark and Wooler formed the nuclei of the strongholds. Etal was a small manorial holding within the barony of Wooler, granted to Robert Muschamp, stretching from the North Sea to the Cheviot Hills. Documents show that Robert Manners was already holding lands within the barony which was probably the manor of Etal. Due to the proximity of Scotland and the violent and bloody times that people lived in, the timber hall was replaced by stronger and more defensible structure. Another Robert is recorded as Lord of Etal, having been knighted in 1278 for services to the king. Robert would have served both Edward II and I in the Scottish wars, however another Robert (son) is recorded as Lord of Etal in 1336. In 1338 The Manners’ neighbours, the Herons of Ford, obtained a licence to fortify their manor house into a castle. In 1341 Robert Manners followed suit and began to fortify Etal. His son, John, who continued with the building of the fortifications, and in 1368, Etal is referred to as a castle, succeeded Robert. John died sometime before 1402 when another Robert became Lord of Etal. It is believed he married a Baxter heiress as substantial lands passed into the hands of the Manners family. John was succeeded by another Robert, who is remembered for his part in a disastrous feud between the Manners and the Herons of Ford. The feud peaked in 1428 when John Manners killed William Heron, son and heir of the Lord of Ford. A commission was set up to examine the death and John was ordered to pay Williams widow compensation. However the feud continued with the Herons being supported by the Umfraville family and the Manners by the Ogles, Middletons and Lilburns. The feud rumbled along until 1438, with quite a few leading local personages including John and his eldest son dying. His second son Robert, who was an active leader and accompanied Sir Henry Percy on his border duties, succeeded John. He was awarded a knighthood, but was killed during the War of the Roses when he served with the Percy’s for the Lancastrian cause. Both Robert and the Earl of Northumberland fell at the battle of Towton in 1461. Eventually the Lord of the manor moved south and the lands were left in the hands of a constable, John Collingwood. In 1513, an army of 30 000 Scots led by James IV invaded England whilst Henry VIII was abroad fighting another war. 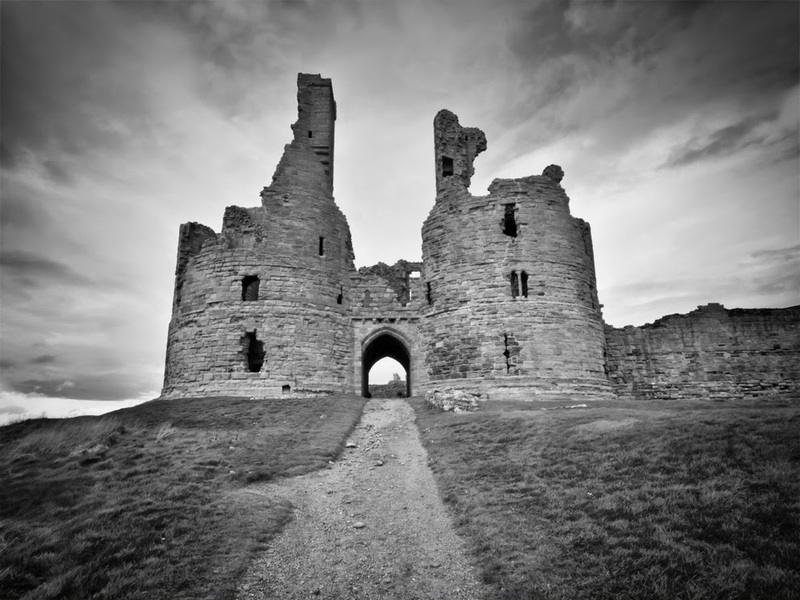 The Northumbria castles started to fall and Etal was captured and turned into a Scots stronghold. The Earl of Surrey raised 20 000 northerners to take arms leading to the English victory at Flodden. James and many Scottish notable families were killed, and the Scots artillery was taken to Etal for safekeeping. The union of the English and Scottish crowns in 1603 ended Etal’s role as a fortified stronghold against the Scottish. The need for castles at strategic locations ceased and Etal became a manor. The Crown granted the manor to George Hume who became Baron Hume of Berwick. However Etal still continued to pass through the hands of some colourful characters. Bothal is both a castle and a stately home, lying in the village of the same name by the river Wansbeck. Botl is Old English for dwelling and probably refers to an original building or hall in the same location. In 1095, Bothal was given by King William Rufus to Guy de Balliol, whose daughter Alice married William Bertram, Baron of Mitford. In 1343, Sir Robert Bertram was given permission to turn his manor house into a castle. Sir Robert's daughter Helen married Sir Robert Ogle and consequently Bothal Changed hands. Carrying on the family tradition, Helen's son, also Sir Robert, fought at the Battle of Otterburn in 1388. When he dies he left his lands at Ogle to his oldest son, another Sir Robert, and Bothal to his youngest son, Sir John. The two siblings then fought and Robert besieged Bothal for four days until Sir John appealed to the king and was reinstated as heir. Ralph, Third Lord Ogle, fought in two Scottish campaigns in 1494 and 1496 while his son, Robert, took part in the Battle of Flodden. In 1591 the states passed to the Cavendish-Bentinck family (Dukes of Portland) through the marriage of Catherine, Countess of Ogle to Sir Charles Cavendish of Welbeck. In 1828, the Sample family came to the castle and are still there . William Sample was appointed land agent for the Duke of Portland's Bothal estates and part his job was to stop the decline of the Castle. 600-800 years old, however, part of an Anglo-Saxon Cross and other stone fragments provide evidence of earlier worship. The site may have been used from the 7th C and dowsing has revealed the foundations of a church from about the 10th C.
The Anglo-Saxon building was replced by a Norman structure by Richard Bertram who was the first Norman lord to live at Bothal. The church was further developed by Robert Bertram I and Robert Bertram IV. The church contains the alabaster tomb of Ralph, Third Lord Ogle who died in 1513, and his wife Margaret Gascoigne. Down the road at Newbiggin by the Sea, you will find the church of St Mary the Virgin, more commonly called Woodhorn church. 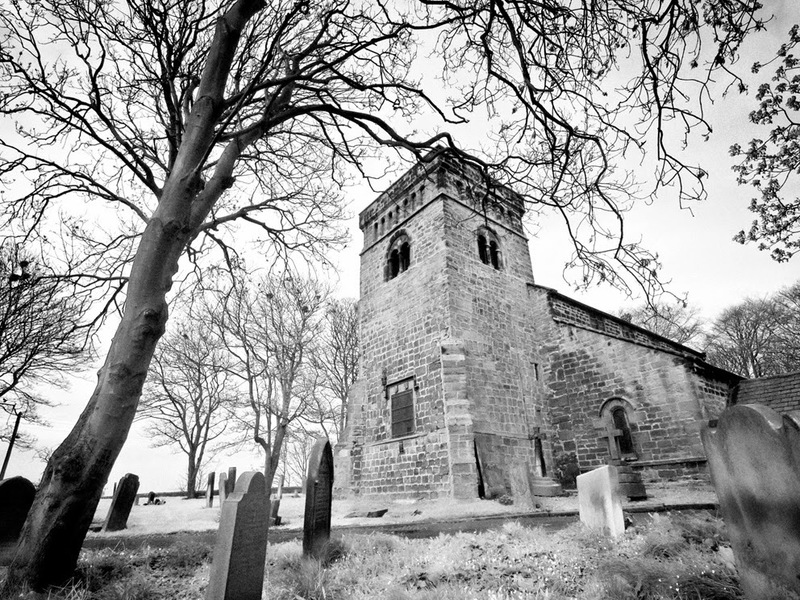 It is said to be the oldest church in Northumberland and dates back over 1200 years and includes Norman, Gothic and Saxon architecture. In 1971, it was declared redundant and became a museum. 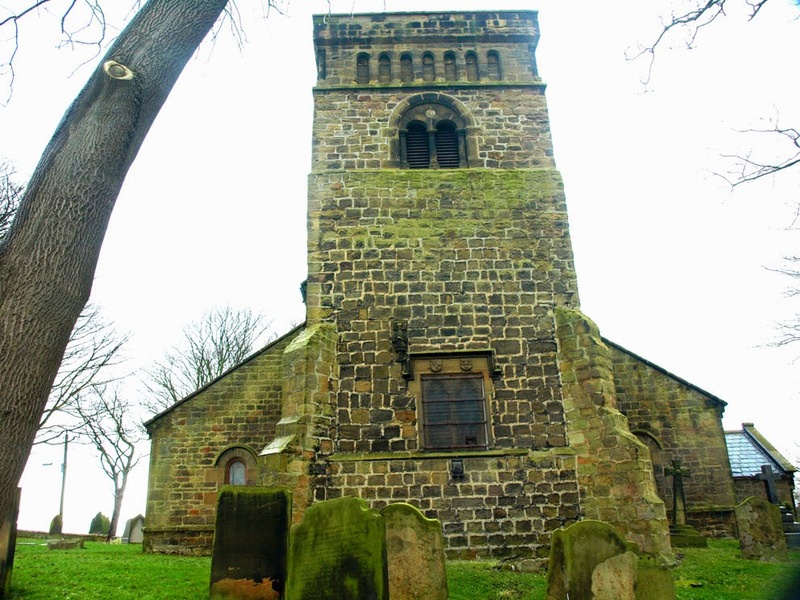 It contains a 13th C stone effigy of a nun, two bells dating back to the 13/14th C and the Woodhorn Cross, which dates back to the 11th C. In 1906 a hoard of copper and silver coins were found in the grounds dating back to the 16th C. The graveyard contains graves of miners, seafarers and soldiers who died in the First WW. The site of the castle is a strong one guarded by the Wansbeck ravine on one side and steep slopes on the others. The castle has the honour of having the only five-sided keep in England. However, it is believed Mitford fords provided a better river crossing for travellers than nearby Morpeth, which is why it became of greater importance. The village was granted a charter for a market and became a borough some 50 years before Morpeth. Prior to the 1066 Norman Conquest, the castle was held by Sir John de Mitford, whose only daughter and heiress, Sybilla Mitford, was given in marriage by William the Conqueror to the Norman knight, Richard Bertram. In 1215, it was seized by John de Balliol, King of Scotland’s troops. A garrison commanded by Philip de Ulecotes withstood a siege here by Alexander II of Scotland in 1216. In 1264, the castle was held by the third Roger Bertram, but in that year, it was seized from him and committed to the custody of William de Valence, 1st Earl of Pembroke, King Henry’s half-brother. It was held by Alexander de Balliol, the son of John de Balliol and the elder brother of King John, in 1275. 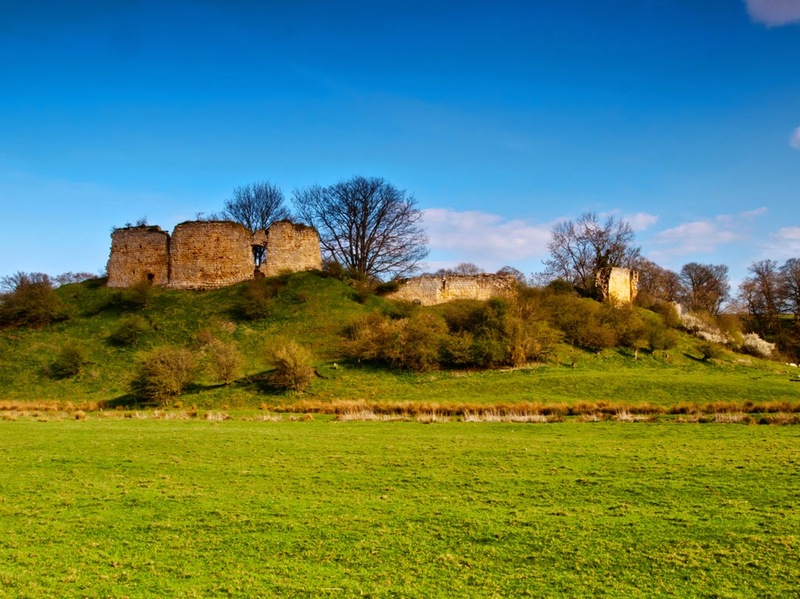 During the rebellion in Northumberland set in the 1310s, Sir Gilbert de Middleton seized Mitford Castle from the Valence family. 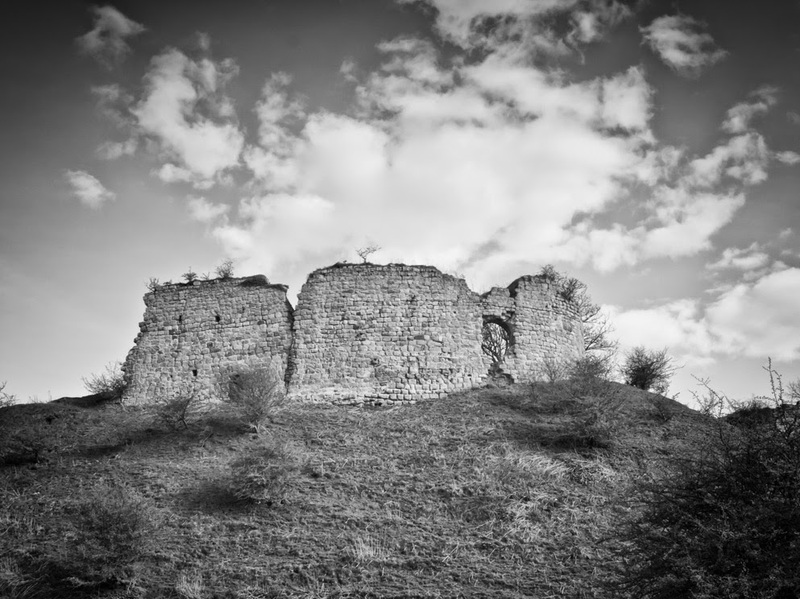 In 1315, it was the headquarters of a group of bandits responsible for kidnappings and the holding of prisoners to ransom led by Sir Gilbert de Middleton. The Castle was taken by a ruse by a band of men under the leadership of Sir William Felton and Sir Thomas Heton in December 1317 and the de Middleton brothers Gilbert and John were captured and later executed at London in Jan 1318. The Castle was then destroyed by 1327. There are conflicting accounts over the castle's destruction. One theory is of a fire during Middleton's rebellion. Another theory is that it was destroyed by the Scots in May 1318 during Middleton's imprisonment in the Tower of London. 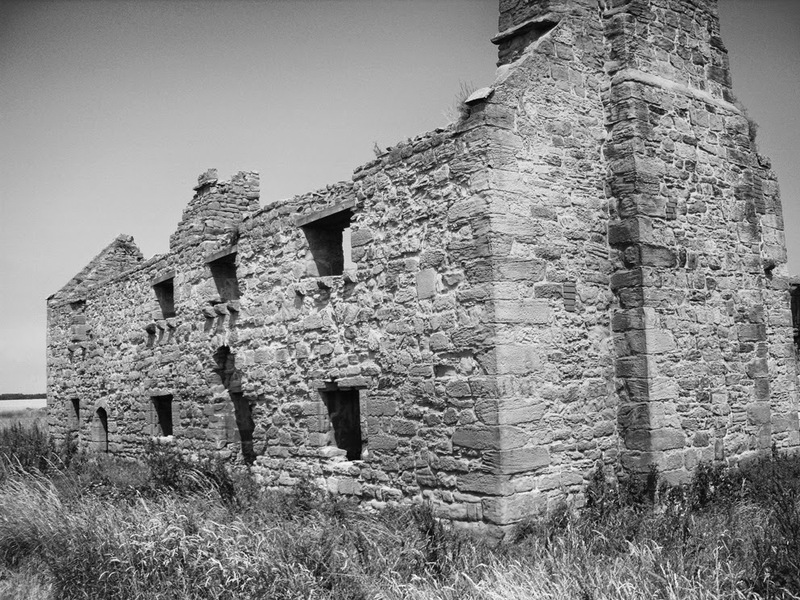 It is said the ghosts of the Middleton’s still walk the ruins looking for their next kidnap victims and you can hear the howls of the porters who were slain by William De Felton whilst carrying ransom money at the gateway. 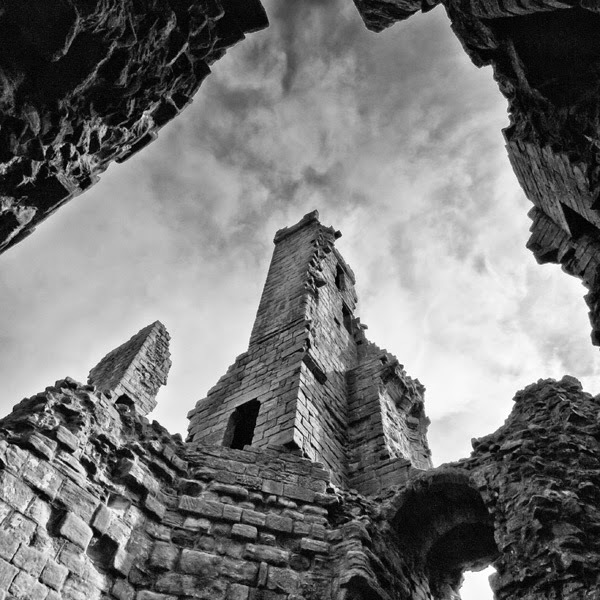 The building of Dunstanburgh Castle began in 1313 when Thomas, the Earl of Lancaster, nephew of King Edward II. However Thomas never got to see the castle complete as he was executed in 1322 for his revolt, and defeat, at the battle of Boroughbridge. 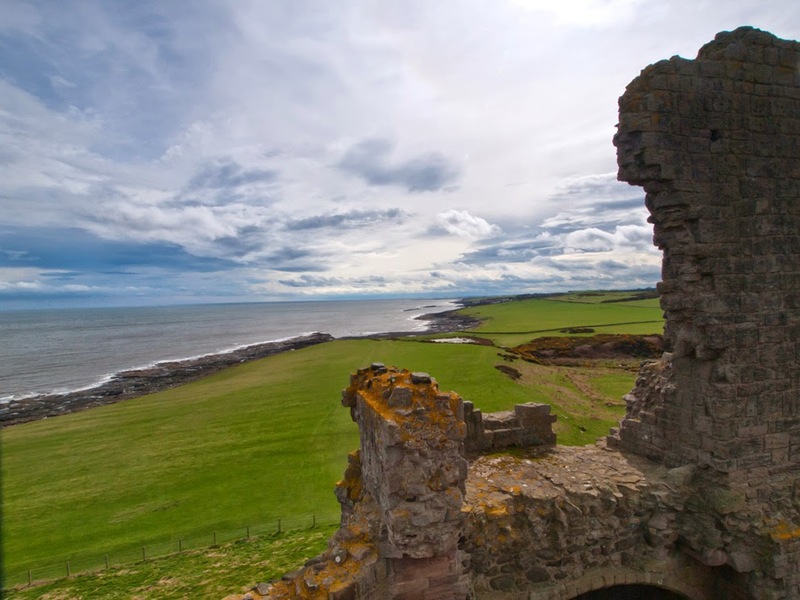 The site of the castle provides excellent protection with its sheer cliff face on one side and the stormy North sea on the other. 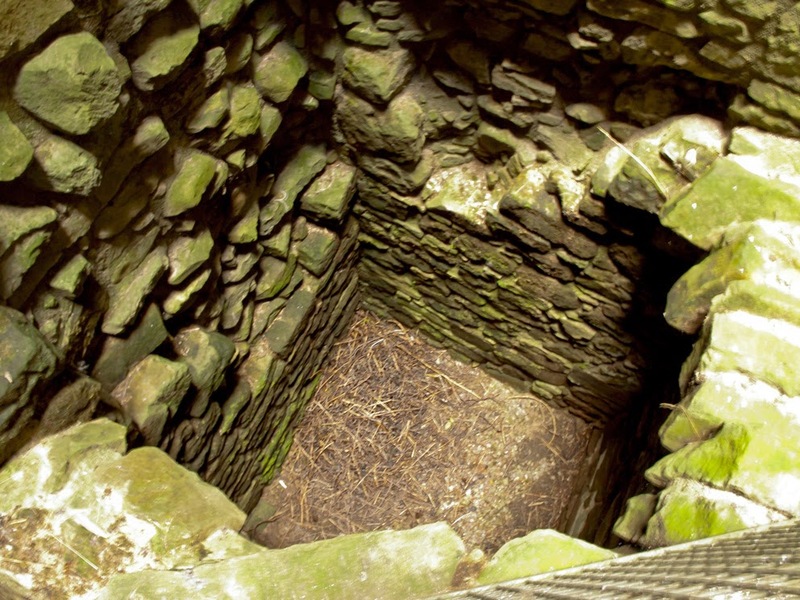 The site covered almost 11 acres and was, at that time, the largest castle in Northumberland. 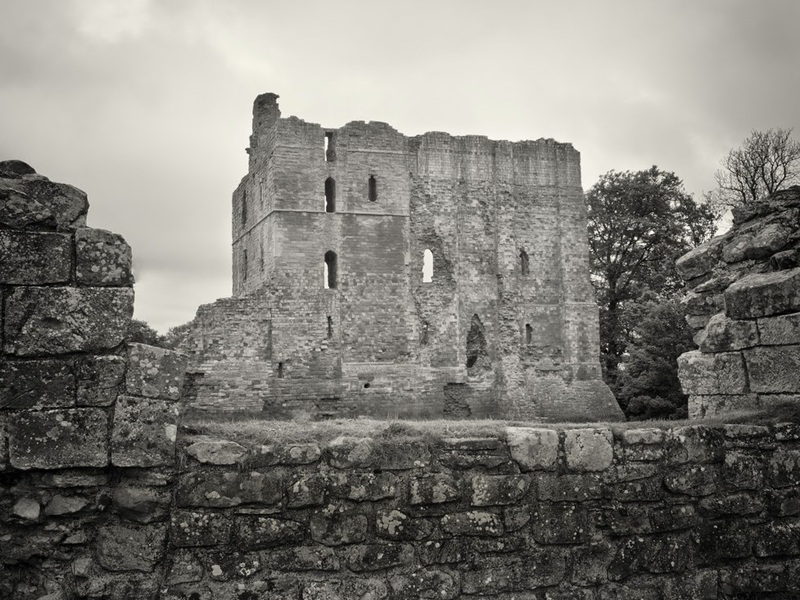 An outstanding feature of the castle is its imposing Gatehouse of which the ruin still stands proud and tall. In 1362, John of Gaunt, fourth son of Edward III, inherited the castle and had the gatehouse converted into a keep. His son, Henry of Bolingbroke, inherited the castle in 1399 and subsequently usurped the throne as Henry IV. 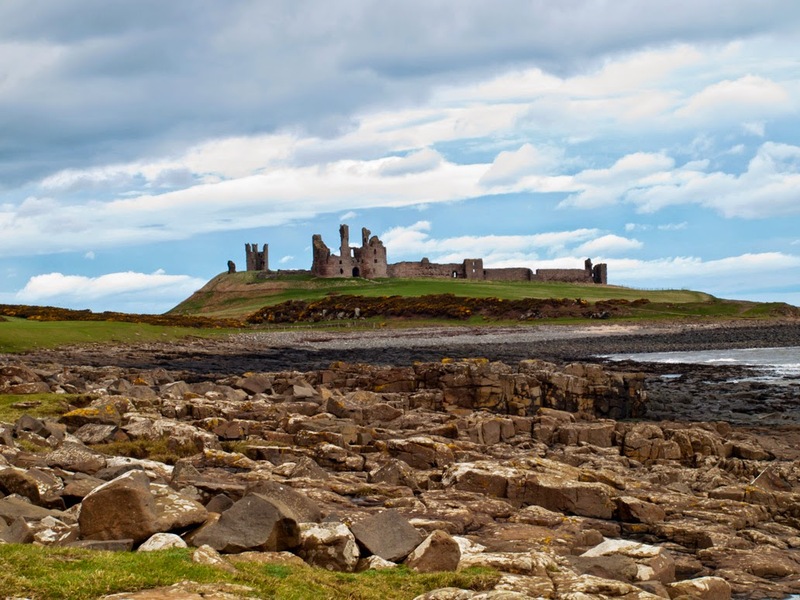 Dunstanburgh became a royal castle and a Lancastrian stronghold during the War of the Roses. Its Lancastrian commander was Sir Ralph Percy. A castle as imposing as this has a history of hauntings. One spirit that supposedly walks the grounds is that of Thomas, the first Earl. 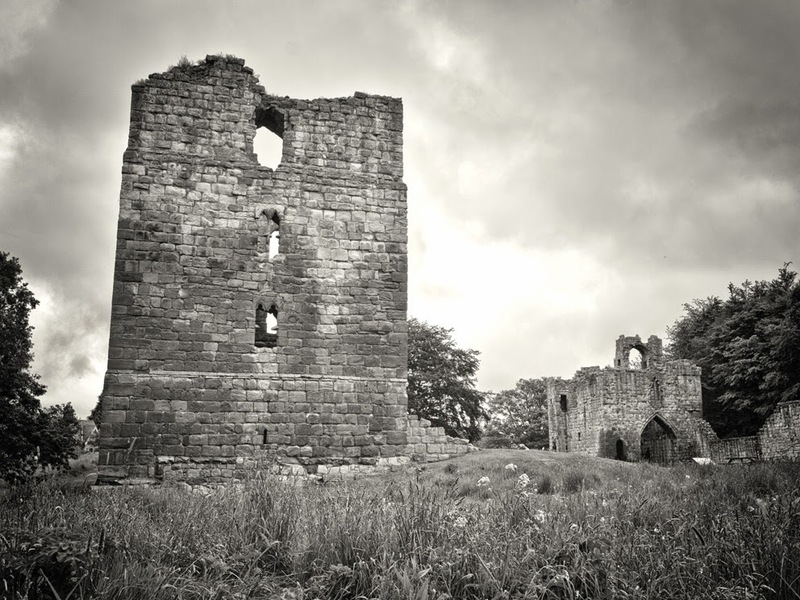 It is said his beheading in Pontefract took 11 blows of the axe and his headless ghost wanders near to Lilburn Tower with the head tucked under its arm and a look of agony on its face. Lilburn Tower is sometimes referred to as Queen Margaret’s Tower after Margaret of Anjou, wife of Henry VI. 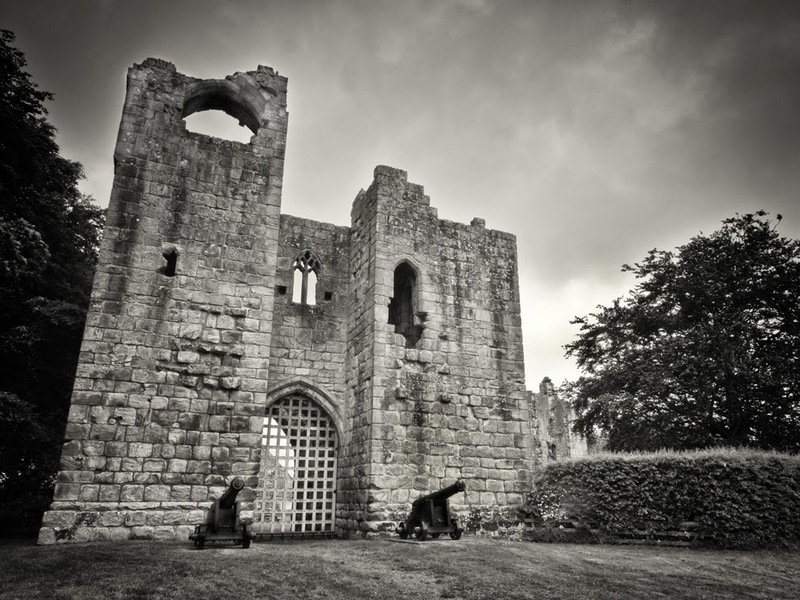 She supposedly haunts the tower weeping for her soldiers defeated at the battle of Hexham and calling the name ‘Henry’. This may be her husband who died in the Tower Of London in 1471 or her trusted friend, Henry Beaufort, Duke of Somerset, who was captured at the battle of Hexham and executed in the town square. Another ghost was a Danish prince who fell in love with the Lord of the Castle’s daughter. She was forbidden to marry him and one stormy night when he was riding to the castle he was set upon by her brothers and killed. She was so distraught she threw her self from the ramparts to her death in the sea. If you are lucky, or unlucky, on a stormy night you may catch a glimpse of a rider on a black horse riding furiously to the castle looking for his love. If you visit the Gatehouse, watch out underfoot for toads, as they do love the wet slime on the walls and floor. 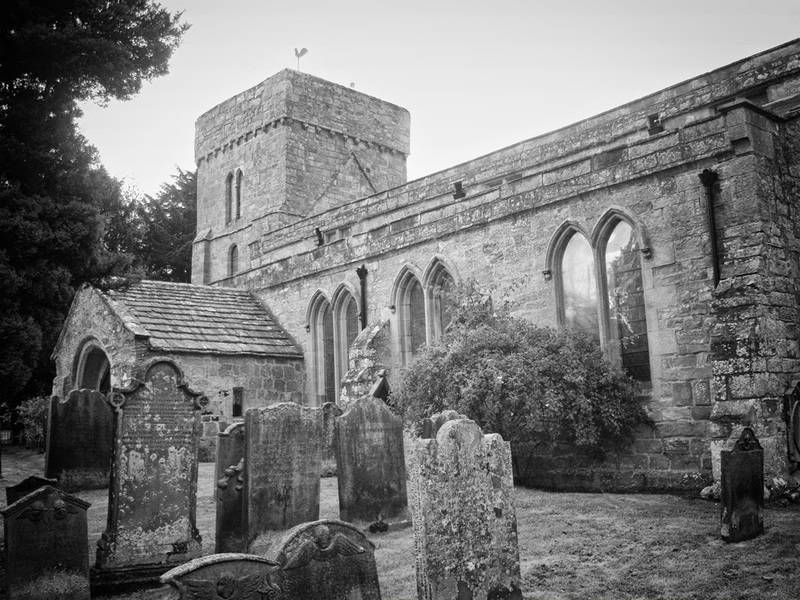 Chibburn Preceptory and St Andrews Chuch Hartburn, Northumberland. Chibburn Preceptory are the ruins of a Medieval/Post-Medieval Hospitaller preceptory. 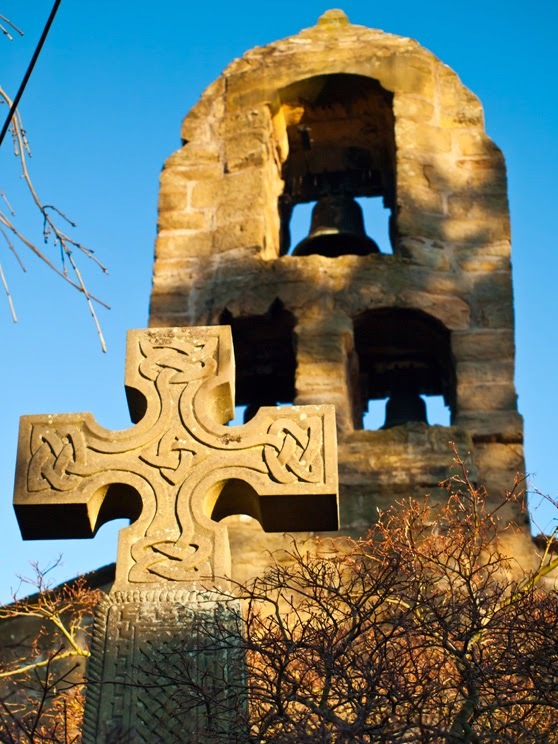 It was first recorded as a preceptory in 1313, and it was abolished in 1553 with the dissolution of the monasteries when all its lands were passed to the Crown and later the Widdrington family. The location of the Preceptory is on the pilgrims’ route to Lindisfarne. 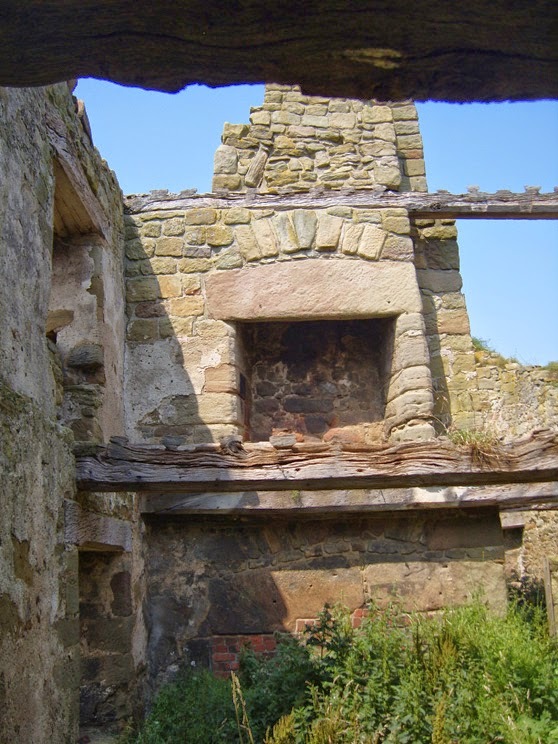 Low Chibburn had several uses, ranging from a hospital to a dowager house before being razed by the French naval hero, Jean Bart, who in 1691 landed at Druridge Bay, pillaging Widdrington village, castle and burning Chibburn. The Knights Hospitallers of the Order of St John arose as a group of individuals who had founded a hospital in Jerusalem around 1023 to provide care for the poor, sick or injured pilgrims to the Holy Land. After the Western Christian, conquest of Jerusalem in 1099 during the first crusade the organisation became a religious and military order and it was charged with the care and defence of the Holy Land. To finance their exploits in the Holy Land the Knights Hospitallers received many gifts of land and estates in England to be worked to generate revenue. It was one of several military orders of which The Knights Templar are another. This order was disbanded in 1312. On the suppression of the Templars in 1308, efforts were made by the Hospitallers to get themselves declared heirs to the Templar possessions, their claim being supported by the pope. Chibburn Preceptory was, it would appear, an original possession of the Hospitallers. The Preceptory of the Knights of St John was defended by a moat enclosing an area circa 100 yards diameter. The buildings formed a parallelogram having a courtyard in the middle, a dwelling house on the west, a chapel occupying the entire south side and various offices on the north and east sides. 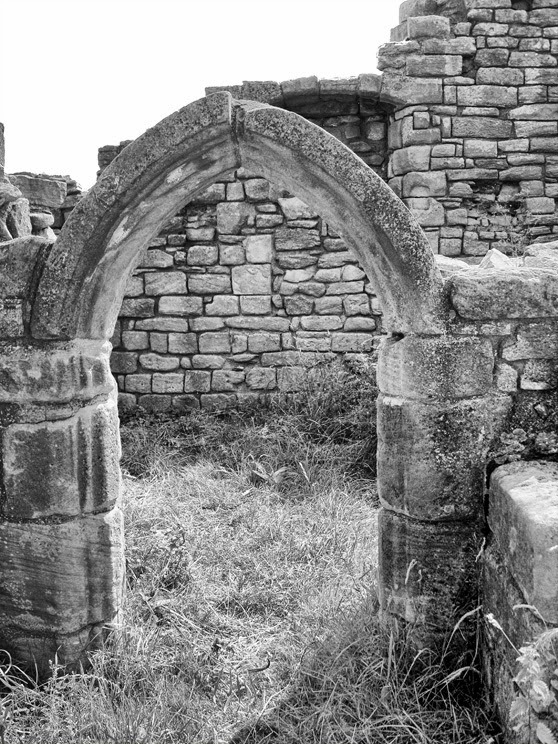 In the chapel; human bones have been found and a grave slab forms the threshold of the door leading from courtyard into a stable. 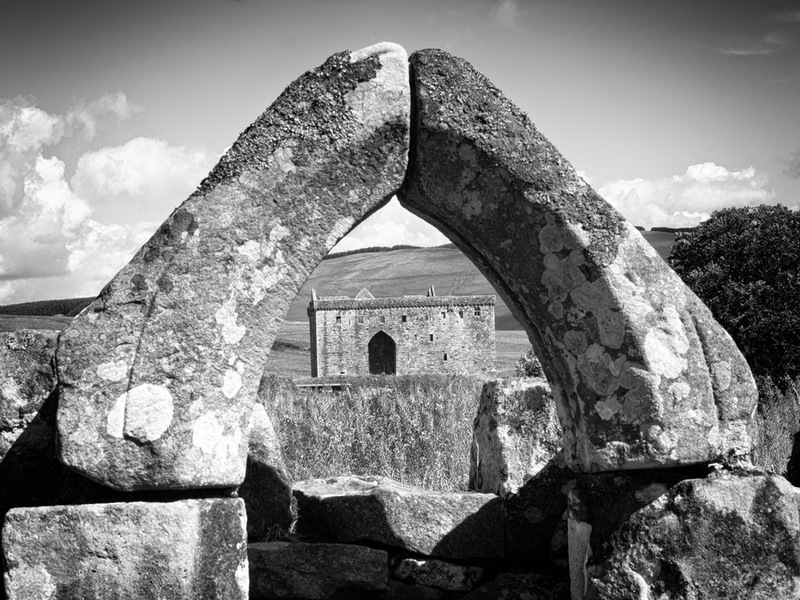 The upper portion of a stone coffin is in one of the windows. The walls of the chapel are of excellent workmanship, and represent the sole remains of the Preceptory of the Knights of St John. The chapel was used as a pillbox during the Second World War. 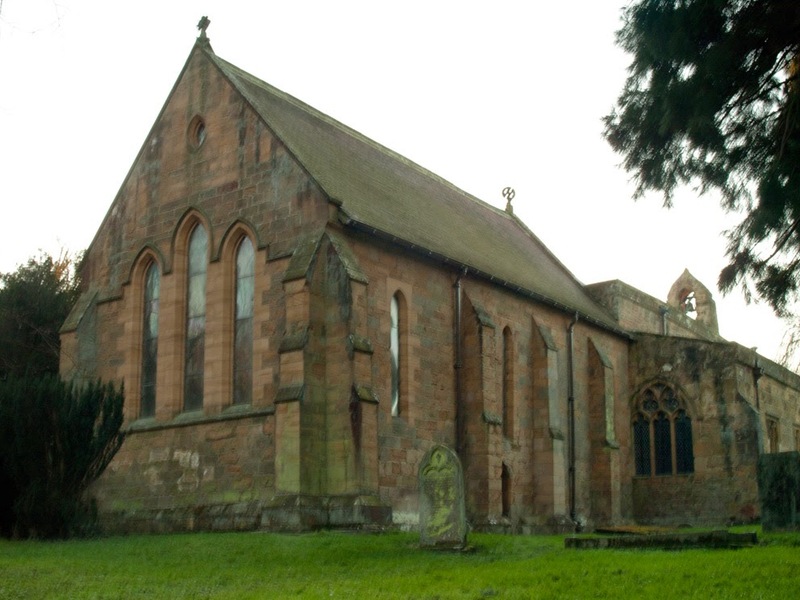 The church shelters near to the east end of the small village of Hartburn. 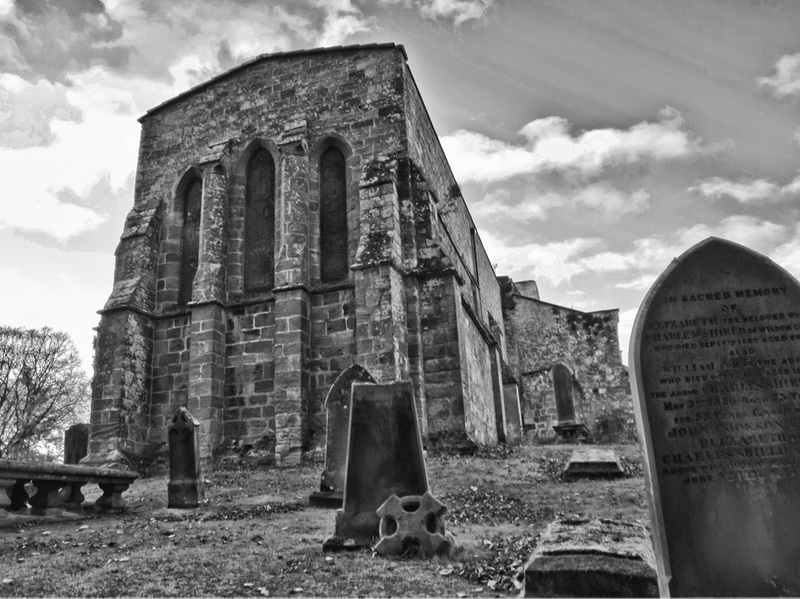 At one time, the church belonged to the Tynemouth Abbey, later transferring to St Albans and after the dissolution of the Monasteries; it passed to ‘lay rectors’. One such rector was the Earl of Derwentwater until his execution after the 1715 Jacobite rebellion. The tower is mainly late 12th / early 13th Century with traces of its Saxon heritage. 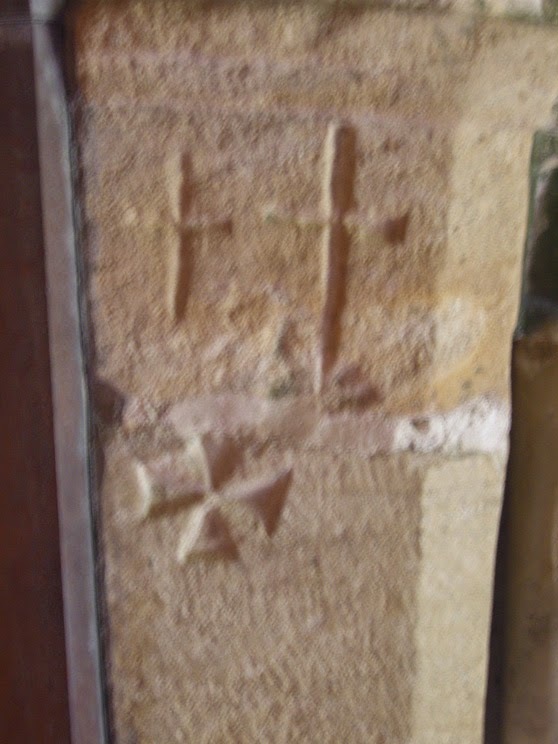 Into the east, side of its doorway there has been a Maltese cross and two daggers incised into the stonework giving rise to speculation that the Knights Hospitaller or Knights Templar passed this way. 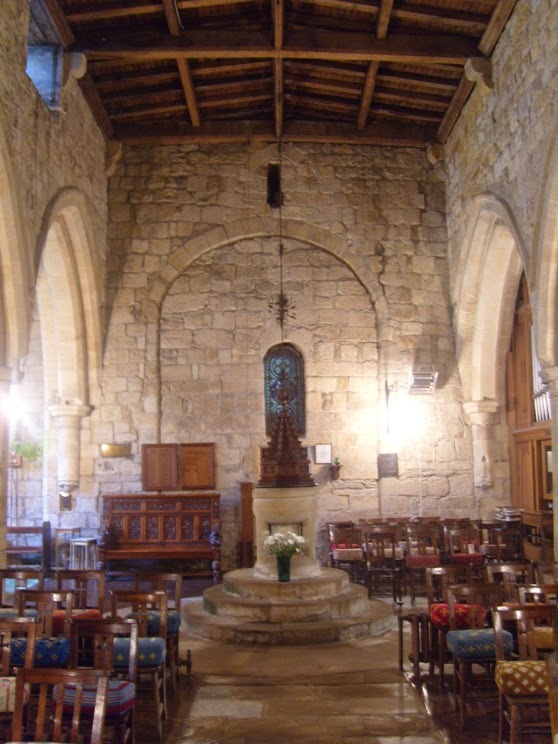 The chancel is 13th Century with decorative pillars. 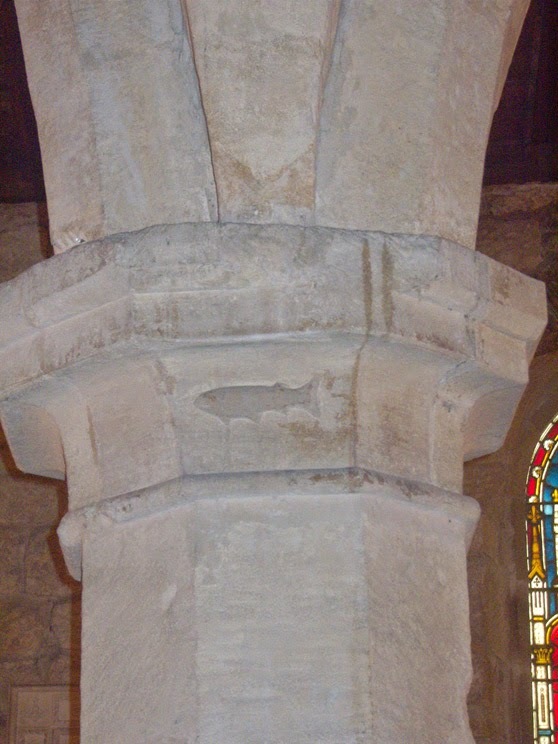 The pillar nearest to the pulpit shows a fish. The fish is an ancient Christian symbol, predating the cross as a sign used by early Christians. It is believed it was a secret symbol adopted by the early Christians, which would not draw attention to them at a time when the church was suffering persecution. As you enter the church, you are faced with a money chest that Oliver Cromwell is said to have used to transport his wealth. There are two substantial 13th Century coffins and a 12th Century baptismal font. There is a plaque in the memory of the Revd John Hodgson, a famous historian of Northumberland who was vicar of Hartburn from 1833 to 1845. Hi - my name is John and I have been taking photographs for several years, in and around, Northumberland and the Cheviot hills. I combine my enthusiasm for photography with a passion for hill walking and beautiful countryside. The Cheviots have been called the most desolate and romantic hills in the world, and at one time was a lawless area ruled by reviers from both sides of the border. To grab a rucksac, camera, tripod and Chester (my dog), then head to the hills, beats 9-5 in an office any day - even rainy days.